It sounds crazy, summer has not even begun and we are already preparing for our fall garden. But in order to have our broccoli, cabbage and swiss chard plants ready to plant by the middle of July, I had to start the seeds inside about two weeks ago. 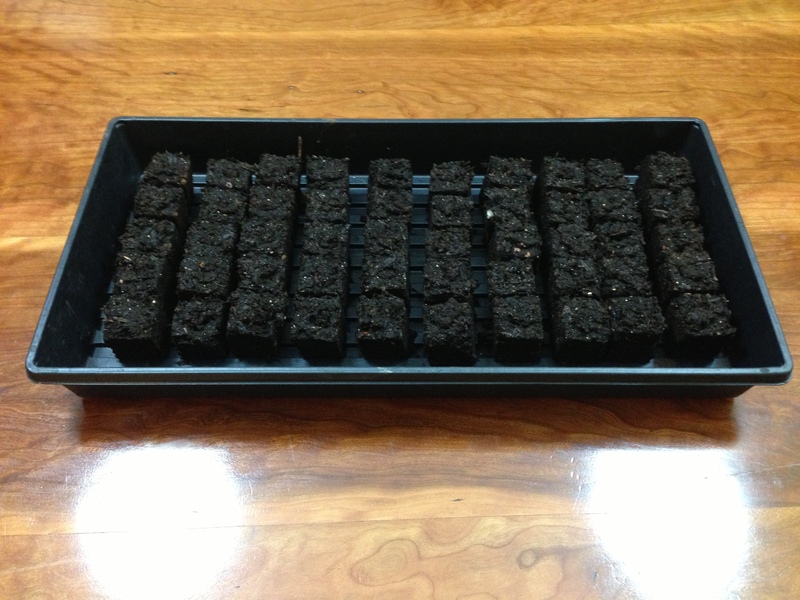 I start all of my seeds in soil blocks, made from my homemade soil block mix. This year I planted 25 broccoli blocks, 15 cabbage blocks and 10 swiss chard blocks. I will keep these under my grow lights (click here to learn more about my homemade grow light stand) until a week before I am ready to plant them outside, at which point I will slowly move them outside to harden them off.